The loss of a loved one is never easy. The people they leave behind usually feels grief, which is a natural response to loss. Commonly focused on the emotional response to loss, it also has mental, physical, or even social effects on one person. A funeral is usually given in honor of the dearly passed one. A funeral consists of the departed loved one on the center of the room and surrounded by the friends and relatives, telling stories to remember by the memories he or she left. The comfort the friends give the bereaved immediate family can help so much in trying to bear with the grief. 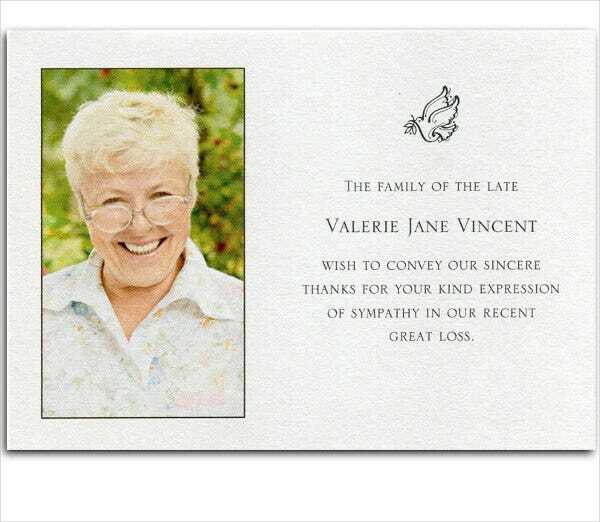 Because of this, it is only fitting for the family to show their appreciation for those who came in the time of grief.You may also see Card Templates. 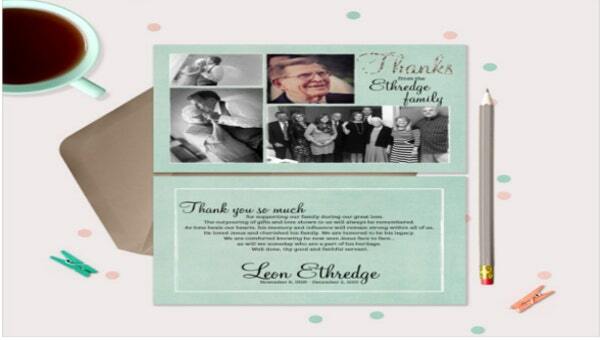 Express your gratitude with our bereavement thank-you cards that we provide for you here. Grief is not an easy thing to deal alone, and that is why in your moment of sadness and depression, it is always a good thing for people to surround you to try to lift your spirits up and make the pain bearable. As you have laid your loved one to rest and the funeral has come to an end, a thank-you is what these people deserve from you and probably what your passed loved on would also want you to do. 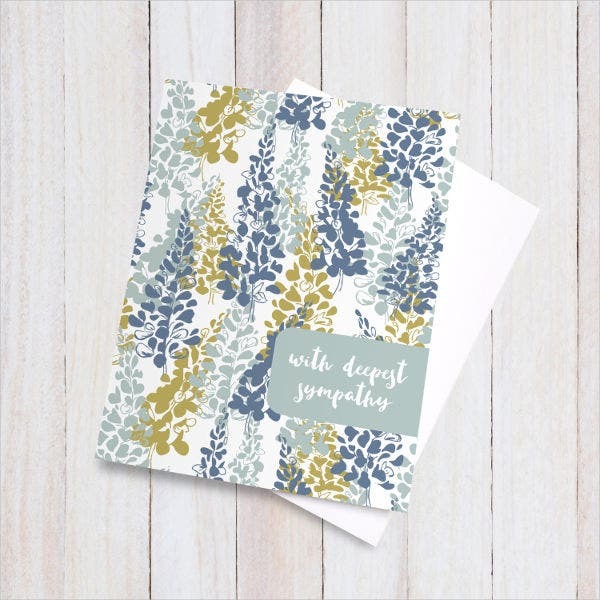 Floral cards. Include flowers in your thank-you card to show elegance and formality. 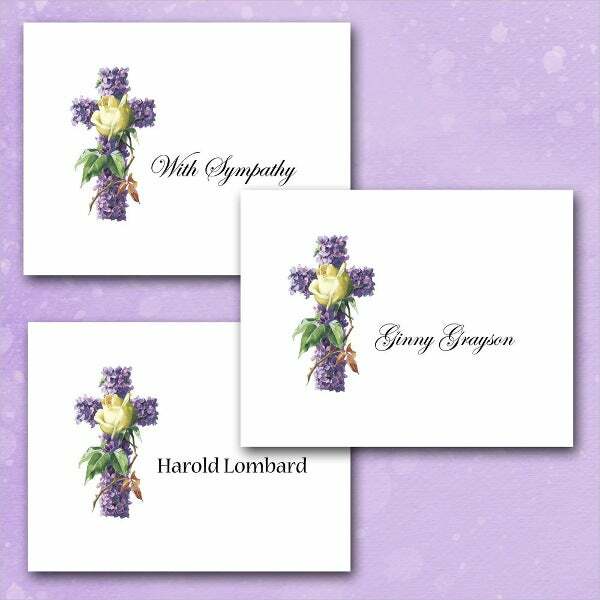 Flowers are placed around the loved one, why not have one on the thank-you card as well? Personalized card. 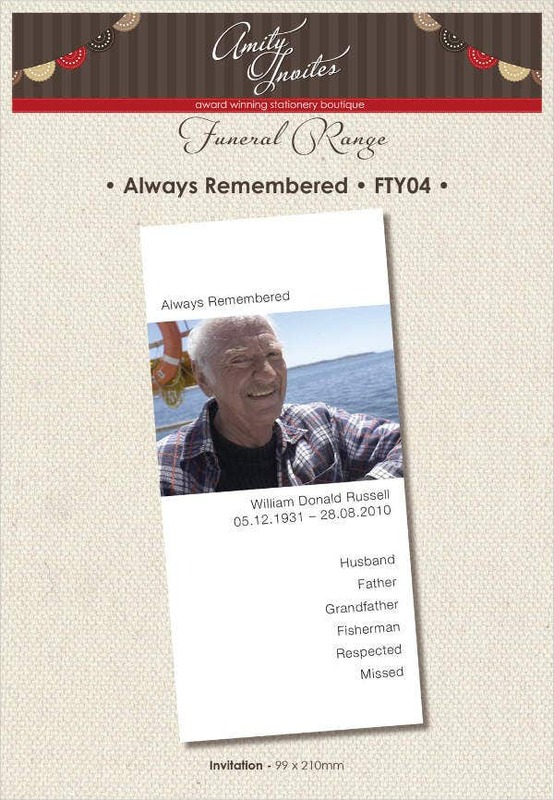 This card design lets you honor the dearly departed even more by putting unforgettable memories of them to remind you of the good old days. Custom card. A beautiful design of a floral cross for Christians to use in showing gratitude for all the friends and family who showed up for the funeral. You may have lost a loved one, and the pain may linger for a few more days; but with the loss, you can also have a full heart because you know you have showed appreciation to those who comforted you in your time of need and returned their kindness to you. If you haven’t found what you are looking for in this page, we have more bereavement thank-you notes that you could download. A value for your money. While most of the templates we offer on our website our free, some are the products of thorough market research and designed by talented, professional graphic artists so they may need negligible, upfront royalty fees. This is so you could experience the full features the templates have. Creative. Each template is designed in different ways that will suit your tastes. Accessible. 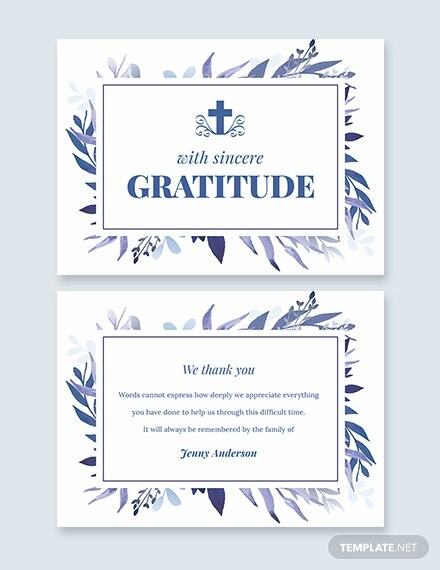 These thank-you cards can be used anytime and more than once just by visiting our website. Efficient. 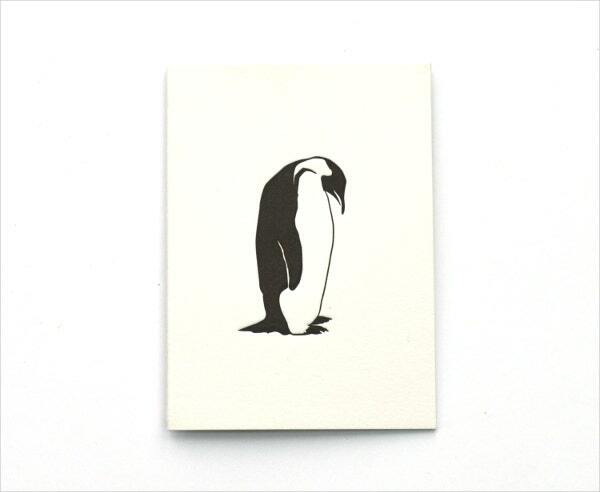 They are already custom made with appropriate and tasteful designs that are ready to use. Just click download and print. Now that everything is done with, you are now ready to take on tomorrow. The pain of the loss may still be there in your heart, but at least you know that you have done everything that you can to show respect to your dearly departed one.